The College Board creates both CLEP and AP exams, and students can use both to place into higher-level college classes or to receive college credit. However, they are completely separate programs differing in several important ways. By understanding the differences between these two types of exams, you can determine which one will help you reach your academic goals. AP or Advanced Placement exams were first administered in 1956. 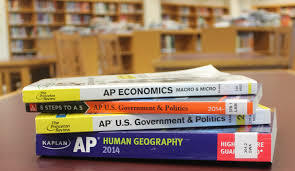 At the time of publication, the College Board offered 34 AP exams in six categories: arts, English, history and social sciences, math and computer science, sciences, and world languages and cultures. The College Board offers AP exams every May. The tests take approximately three hours and include both a "free response" section and a multiple choice section. AP exams are graded on a scale of 1 to 5, and students will find out their scores in July. Many high schools offer AP classes that prepare students for a specific AP exam; however, it is possible to take the exam without taking the class and vice versa. By taking AP exams, high school students can prepare themselves for college-level work, make their college applications more attractive, place into higher-level college classes, or be awarded credit for college classes. Students should research the AP policies of the schools to which they hope to apply, since some colleges award credit for AP exams, others use AP exams only for placement, and others don't accept the exams at all. Even when colleges don't award credit for AP exams, taking them can be a valuable way to show colleges that the student has taken advanced classes and to prepare the student to work at the college level. but a few contain other types of questions. CLEP tests are graded on a scale from 20 to 80 but are treated as pass/fail by many colleges, often using the American Council on Education's suggested passing score of 50, equivalent to making a grade of C in the corresponding class. CLEP tests are offered year-round at designated sites. Many colleges award one to two semesters of college credit for either the more basic "general' or the more advanced "subject" CLEP tests. CLEP tests can be an ideal way for homeschoolers, adult learners returning to school, military personnel and others to earn college credit as quickly and inexpensively as possible and to document what they have learned outside of a traditional classroom. CLEP tests work best for self-directed students with strong study skills because instead of taking a class to prepare for the test, students will study the material on their own.